Know the risks of digital recordings so you can make an informed decision. With new technology and automation emerging throughout the world, some parties within the legal industry are considering switching from licensed court stenographers to digital recording solutions for their depositions and trials. Licensed court reporters receive extensive training, continuing education, and are held to a high ethical standard mandated by the state of Illinois. In Illinois, court reporters must attain and maintain state certification as Certified Shorthand Reporters. In the state, the CSR license ensures that court reporters meet a high level of speed and accuracy. Furthermore, CSRs must renew their license every other year to ensure they meet the technical and ethical standards required of the profession as well as familiarize themselves with the changing legal and technological landscape via continuing education. In recent years, digital recorders have become the cheaper alternative to the licensed reporter as these individuals require significantly less training, which brings down the cost of attendance and transcripts. These digital recorders can also operate outside of the CSR requirement simply by becoming a notary public as state law indicates that a transcript can be created by anyone authorized to administer the notarial oath. All courts, and all judges and the clerk thereof, the county clerk, deputy county clerk, notaries public, and persons certified under the Illinois Certified Shorthand Reporters Act of 1984, have the power to administer oaths and affirmations to witnesses and others, concerning anything commenced or to be commenced, or pending before them respectively. But many contemplating this switch have not investigated the potential downsides and risks associated with a major change like this, and in practice clients find serious shortcomings in the technology when used in depositions and trials. Although the recent advancements in digital recording and text-to-speech are impressive, there are currently no systems in place to ensure quality, ethics, and certification of digital recording methods. Digital recorders operate without the oversight that is required of licensed CSRs. Any operator with a knowledge of how to hit the record button can attend a deposition and take down sensitive material as long as they are a notary public. The transcripts created by those operators may not be admissible in court if the transcripts aren’t certified by a state-licensed reporter, but currently there is no clear precedent for accepting or denying transcripts created by digital recorders who operate without the CSR license. Along with the lack of statewide standardization for digital recorders, there are no safeguards in place to ensure that digital recording techniques are well maintained or updated (unlike the every-other-year CSR renewal requirement for Illinois reporters) and there is no standard in place to stop digital recording machine operators from working in the legal industry if they are fired for incompetence, fraud, or unethical conduct. There is no license to revoke as there would be if a CSR committed legal malpractice. As officers of the court, CSRs are held to high standards to ensure they can uphold the legal requirements to make transcripts. If a reporter is charged with a felony or crime of dishonesty, a license can be suspended or revoked. If a similar situation happened to a digital recorder, there are no such safeguards, and those accused or committed of similar crimes are not barred from operating as a digital recorder. It is likely that legal loopholes involving the CSR/digital recorder disparity will be resolved in the near future, but other disadvantages of the digital recorder cannot be easily resolved. A digital recording machine operator currently fails to provide instantaneous read-backs, realtime transcription, rough drafts, or next-day expedites. Furthermore, current digital recording solutions have tremendous difficulty distinguishing between two overlapping speakers, deciphering low quality audio recordings in large rooms with unfavorable acoustics, and handling distortions like someone tapping their microphone or a loud HVAC system turning on. 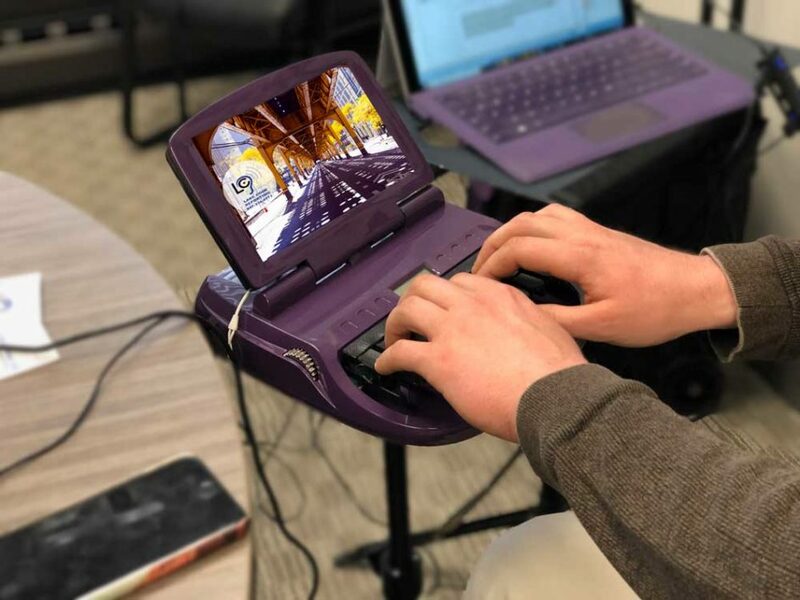 Stenographic reporters take down testimony live on a stenography machine capable of taking down 300+ words per minute, and if a court reporter fails to hear testimony, they can ask a witness or attorney to repeat themselves to ensure a clean, accurate record. As an industry partner who has worked in the legal industry for 30 years, Lake Cook Reporting is committed to ONLY using licensed court reporters and certified legal videographers who have received proper training and licensing from applicable governing bodies. When you call us and we provide our services, you can be sure that we will provide you with an experienced reporter or videographer who is held to an extremely high professional standard. We have built our reputation on always providing the highest quality legal services for our clients and adopting new technology ONLY if it truly benefits our clients.